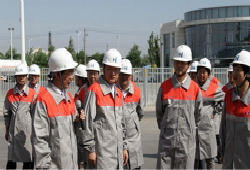 On the afternoon of December 25, management meeting of Hanas power generation business unit was held in Yinchuan. 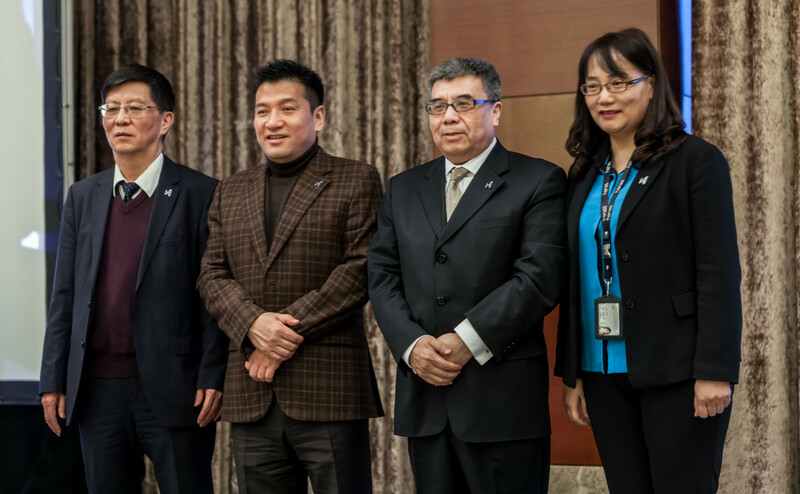 The meeting was chaired by group HRD Wang Yong and announced a number of changes in the staffing structure in regard to projects being and to be under construction, in which the basis for the construction work has been created. Group CEO Ma Fuqiang gave an address on the meeting. Group management, directors of power generation and functional departments, directors and staff from East & West thermal plants, power generation business unit and engineering companies attended the meeting. The meeting first announced the founding of a preparation division and several appointments of management group, which aims at the early work of Ningxia 5 million LNG project and gas pipeline from Erdos &Northern Shaanxi to Yinchuan. Wang Shaobo was appointed as general manager of preparation division of LNG project and pipeline project and Wang Lifu as vice general manager. For the reinforcement of operation and construction work of power generation business unit, Du Yanzhong was appointed as vice president of power generation business, Zhao Xianxiang as executive officer of power generation business unit and general manager of Yanchi Hanas Co., Ltd, Yanchi Master Co., Ltd, Hanas Inner Mongolia Co., Ltd and Yanchi Hanas Solar and Wind Power Co., Ltd and Liang Wei as executive officer of thermal business in power generation business unit and general manager of Ningxia East thermal &West Thermal companies and. In his address, Mr. Ma Fuqiang , CEO of Hanas Group said that Hanas had had an incredible run of success over the years and also had several problems which couldn’t be ignored. Power generation business unit played an important role in the whole group strategy, which charged every member in power generation BU with a vital mission， that is how to manage existing assets efficiently and improve operational excellence. As always, Hanas stuck to the principle of cooperating with top manufacturers from all over the world for the top equipment, thus a request for the improvement in operation excellence to the world class. 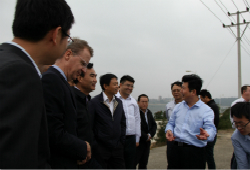 To solve the problem, we must manage the equipment in a scientific and reasonable way for the maximum effectiveness and learn from foreign experience to help with success of power generation BU and to ensure safety, stability and efficiency of equipment. Regarding to the problem concerning limited time and overloaded tasks, every member of power generation BU must be stronger and pull together. Hanas is a home for us, so we hope each of you to perform your roles and make unremitting efforts for our common ideal, goal and vision.